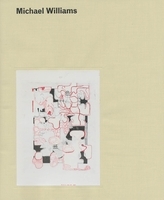 Hardcover, 9 x 11 in. / 112 pgs / 50 color. 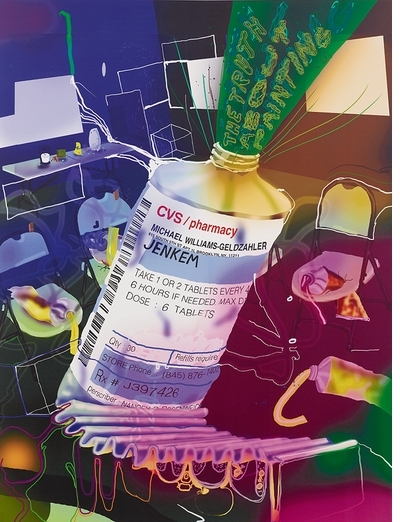 Over the last 10 years, Los Angeles–based Michael Williams (born 1978) has created paintings known for their layered imagery, eye-popping color and use of airbrushing and inkjet printing. 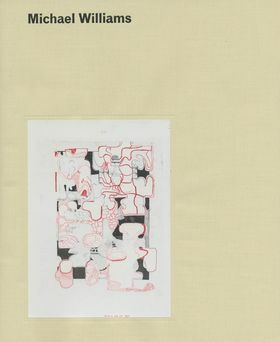 His large-scale works begin as drawings either on paper or on the computer screen before they are printed or transferred to canvas and then embellished with oil paint. Williams’ narrative content reveals a dark sense of humor about everyday life, often exploring the role of the painter as observer. Wickedly funny allegories merge with abstract painting as free-form amoebic shapes frequently fill the entirety of his canvases. 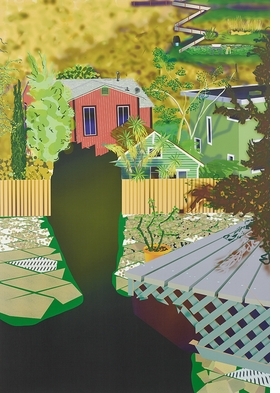 The resulting paintings offer a dense and absorbing terrain of color and form. 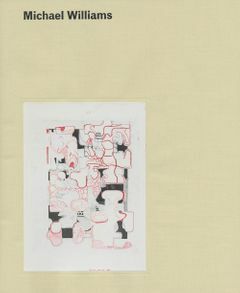 Michael Williams is published to accompany the artist’s first US solo museum exhibition, at Carnegie Museum of Art, where he presents a new body of his large-scale paintings as well as drawings that mix collage and free-associative mark-making. 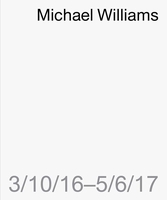 "Yard Waste" (2017) is reproduced from 'Michael Williams." FORMAT: Hbk, 9 x 11 in. / 112 pgs / 50 color.